Platypus Tours is a private tour company that specializes in personalized and unforgettable wine tours in and around the Napa and Sonoma Valleys and other renowned local wine regions. Run by a team of passionate wine lovers and aficionados, Platypus Tours offers a fun and lighthearted approach to learning more about and tasting wines, as well as introduces and explores some of the most beautiful wine regions in the world. Platypus Tours ventures to a variety of historic wineries and lesser known estates, as well as family-owned operations and hidden gems that are off the beaten path in both the Napa Valley and Sonoma Valley, and other local wine regions, such as Dry Creek, Carneros, Alexander Valley, Russian River, and West Side. Platypus Tours offers a variety of tours to suit every need from personalized and private tours to join-in tours and group tours. Shuttle bus tours of certain areas are conducted on a daily basis, and guests can join in if, when and where they wish (Join-In Tours), and private tours with a dedicated driver and guide in a non-shared vehicle are also available. Platypus Tours offers a broad range of Join-In and Private Tours, including one-day exploration of the non-touristy side of the spectacular Napa Valley, visiting four smaller wineries with a delicious picnic lunch served at one of the wineries. The Sonoma Valley Tour is an exclusive small group, guided shuttle tour that explores the very best wineries in the Sonoma Valley and the Join-In North Sonoma Tour ventures to several small wineries tucked away in the rolling green hills of the region, including Dry Creek and Russian River. This tour also includes a picnic lunch at one of the wineries. Private wine tours can be tailor-made to visitor’s needs and are conducted with a personal guide in a non-shared tour vehicle. Tours can also be arranged for large groups or special occasions and social events such as weddings, honeymoons, birthday celebrations, and family reunions, and corporate events. Other tours offered include a Balloon/Wine Tour, which involves an early morning balloon flight and Champagne brunch, followed by a tour of the wineries in the Napa Valley. 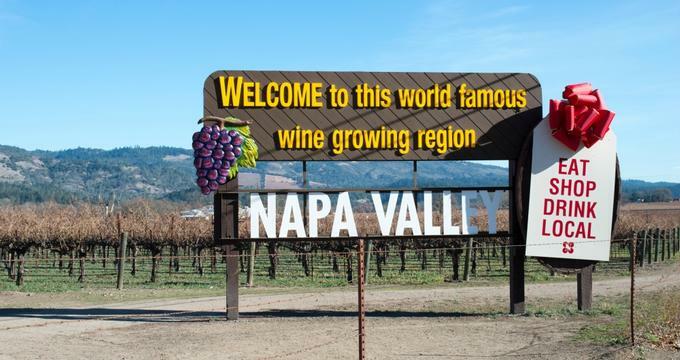 Platypus Tours offers a pick-up and drop-off service from anywhere in the Napa or Sonoma wine country, San Francisco, or any other accessible location within approximately 50 miles of Napa or Sonoma.